Now updated with February dates, here's a list of important tax dates and deadlines for the coming months. Jan 31st- Deadline for online return of your 2015/16 self assessment form. £100 fine if its late regardless of whether tax owing or not. See our Self Assessment Guide for tips on making your return. Jan 31st - Balance of 2015/2016 tax return due, also first payment on a/c of 2016/2017. Jan 31st - Last chance to renew tax credits for 2016/17 tax year. Jan 31st - Deadline to make any amendments to 2014/15 tax return. Jan 19th (22nd if paid electronically) - PAYE, Nat. Ins.,Student Loan & C.I.S. Monthly deductions due. Jan 19th, (22nd if paid electronically) - 4th quarter PAYE / Nat. Insurance payments due for period 6th Oct to 5th Jan2017. Note January 31st is a standard HMRC deadline for various claims and returns, for employers, employees and self employed. We only list the main ones, but make sure you do not miss this deadline. 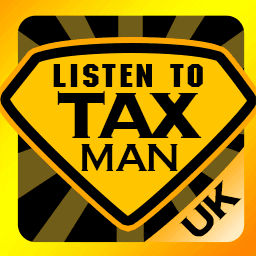 Feb 1st - A £100 fine if 2015/16 self assessment return not filed, whether tax due or not. A 5% surcharge (or £300 fine, which ever is greater) on bal. of any outstanding self assessment tax owed from 14/15, due to have been paid by 31st Jan 2016. See our guide onSelf Assessment fines and penalties. Feb 1st - For outstanding paper returns, the £10 a day penalty starts adding up from midnight on the 1st Feb. If you make an online return, this late penalty will be applied from May 1st at midnight. Feb 14th - Last feasible date to request NIC deferment for 2016/17. Feb 28th - Last chance to avoid paying the first 5% surcharge on bal. of any outstanding self assessment tax owed from 15/16, due to have been paid by 31st Jan 2017. Feb 2nd - Last date to submit P46 (car) to notify Revenue of any changes to employees car fuel benefit in previous quarter. Feb 19th (22nd if paid electronically) - PAYE, Nat. Insurance, Student Loan & C.I.S. monthly deductions due. Last day to send in Employer Payment Summary's (EPS) for month ended 5th Feb. This article was published in our Tax Calendar section on 30/01/2017.